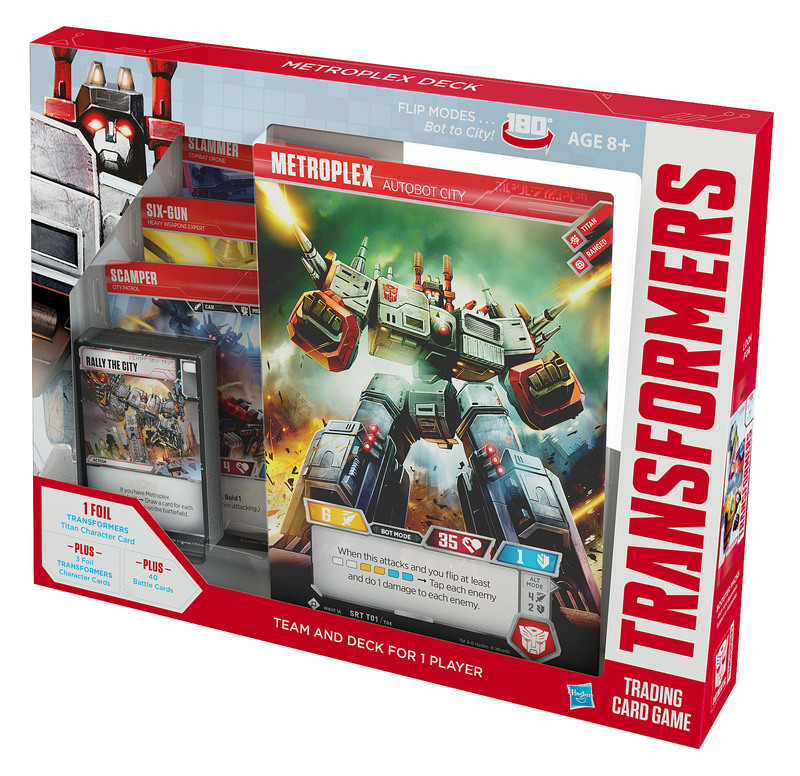 Hasbro sent through details of the first Transformers Trading Card Game expansion pack and it’s a big one – The Metroplex Deck! It’s coming with an oversized card to rep Metro’s epic scale. Check the details below and pics after the break! 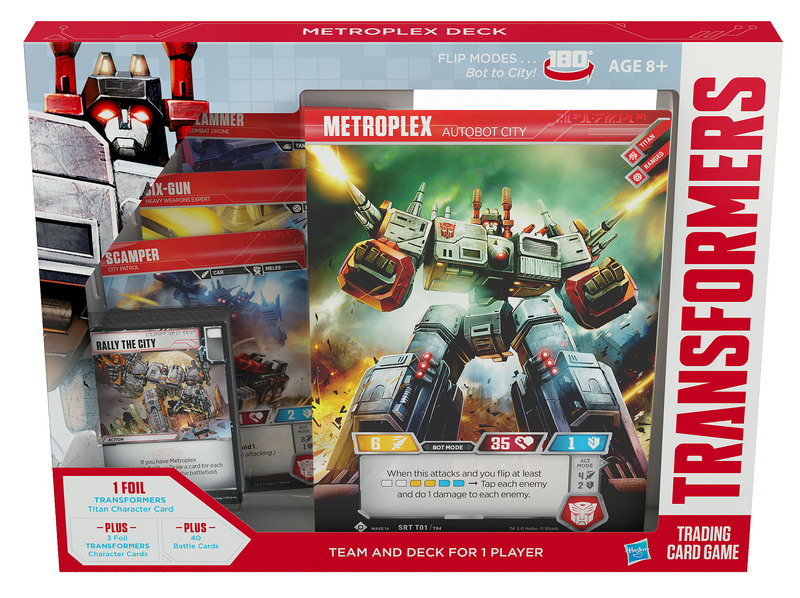 Today, Wizards of the Coast and Hasbro released all-new details on the upcoming TRANSFORMERS Trading Card Game’s first expansion, their METROPLEX Deck! 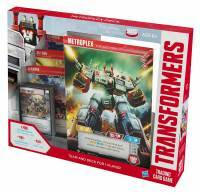 In addition to new cards in the deck, fans can also look forward to utilizing the Metroplex card that is 200 mm in height – nearly 8 inches tall! 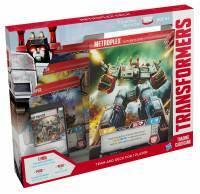 There are also 3 new videos by Hasbro showing off how to play the game. Check them out below!